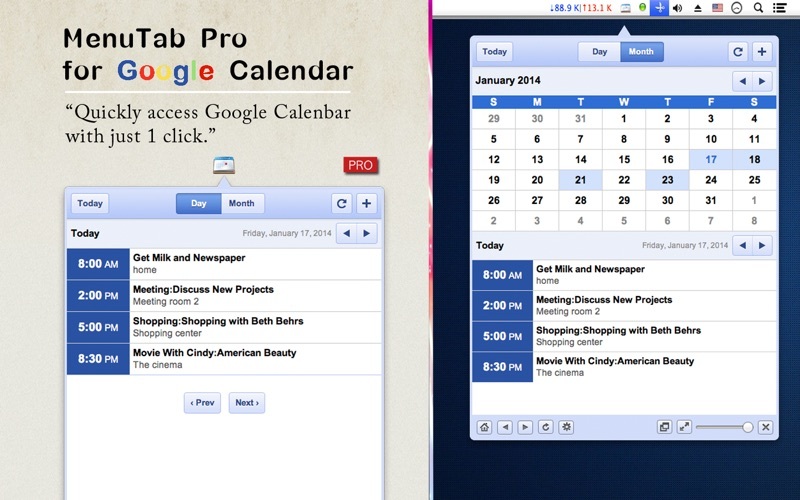 MenuTab Pro for Google Calendar is the easiest way to access your schedule in your menubar. 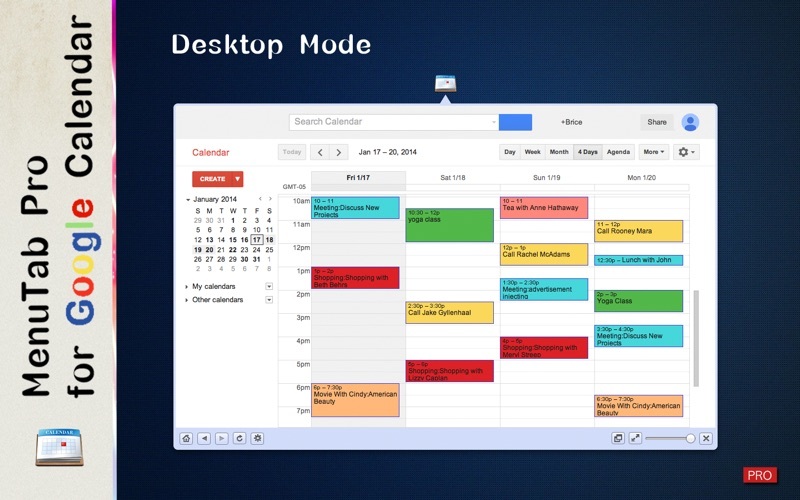 Put a calendar on your menu bar will save your time and easy to Keep track of life's important events. All of your important events can be easily tracked at once!! Try MenuTab Pro for Google Calendar Today! !